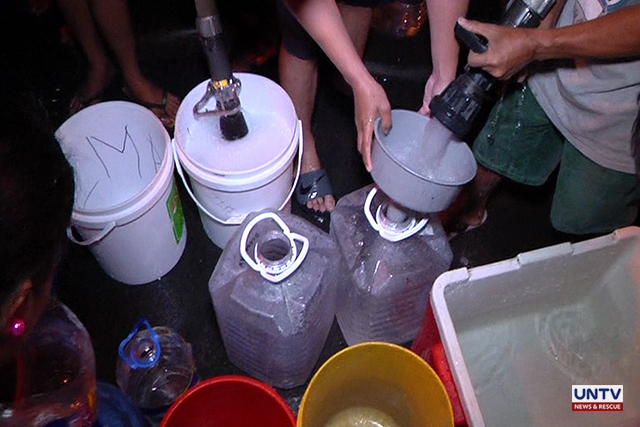 Thousands of households in the cities of Mandaluyong, Pasig, Marikina, and several towns in Rizal being serviced by the Manila Water company have been struggling to cope with the water shortage for nearly a week now. Following complaints on slow distribution of water rations, some residents in affected areas are considering digging their own deep well. 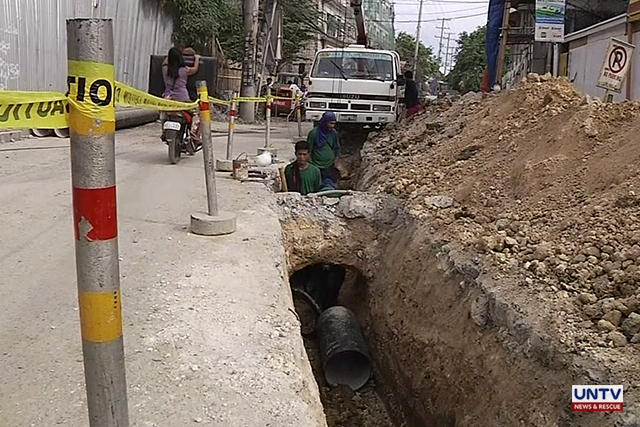 According to Richard Dioso, who owns a well drilling and construction company, digging a deep well costs around P60,000 depending on the depth and level of the groundwater found in an area. “Dito po sa Laguna, kasi dito shallow well lang. So, bale P6,500 lang dito, 120 feet (ang lalim). Kapag may motor, kumpleto ang tangke, mga P60,000. Pero kapag manual lang, mano-mano, umaabot lang ng mga P27,000,” Dioso told UNTV News and Rescue during an interview on Tuesday. 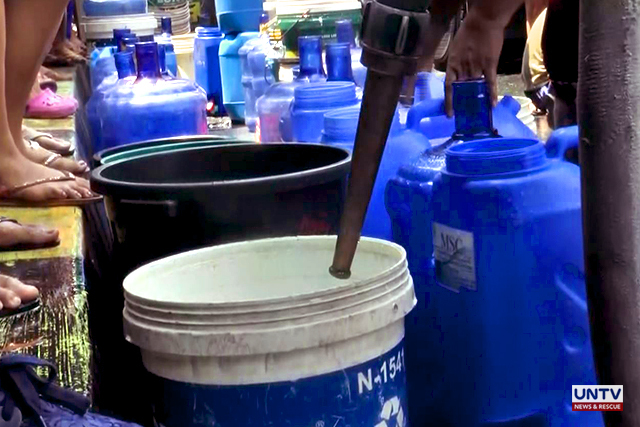 However, the National Water Resources Board (NWRB) warned the public against digging illegal deep wells amid scarcity of water supply in parts of Metro Manila and Rizal Province. NWRB Executive Director Sevillo David Jr. said that under the moratorium they released in 2004, unauthorized digging of deep wells and pumping of underground water sources has been banned in Metro Manila and Cebu to protect groundwater reserves, avoid land subsidence and water contamination. “Ang isa pong posibleng negatibong epekto kapag matindi po ‘yung pagkuha ng groundwater natin is nagkakaroon ng tinatawag nating subsidence, bumababa kasi po ‘yung lupa,” David said. “Kapag mas malapit naman po sa tabing-dagat, kapag mas malakas po ‘yang pagkuha natin, nagiging dahilan din ng pagpasok ng tubig alat doon sa groundwater natin. Hindi rin magandang epekto dahil makaka-apekto ito sa kalidad ng tubig,” he added. A 2004 ban on deep well extraction covered areas that were earlier found to have critical groundwater levels: Guiguinto, Bocaue, Marilao and Meycauayan in Bulacan; Navotas and North Caloocan; Quezon City; Pasig; Makati; Mandaluyong; Pateros; Parañaque; Pasay; Las Piñas; Muntinlupa; and Dasmariñas in Cavite. NWRB said they usually conduct surprise inspections in areas with reported illegal deep wells, and issue a closure order when necessary. A fine will also be imposed on the offending party, depending on the amount of collected groundwater and how long the deep well has been installed in a certain area. 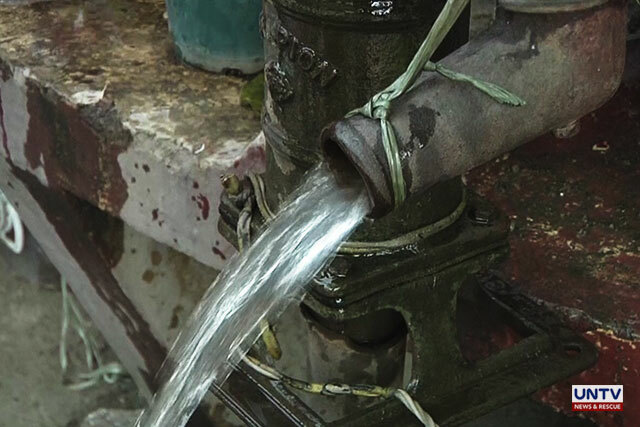 Recently, a soda manufacturer in Muntinlupa City was ordered to pay P11.8 million in fines following the discovery of six illegal deep wells within its plant compound from 2013 to 2018.